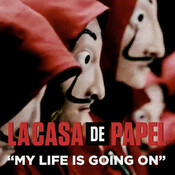 After "Bella Ciao", here are our piano scores of "My life is going on" from the soundtrack of the phenomenal series Money Heist, performed by the Spanish singer Cecilia Krull. 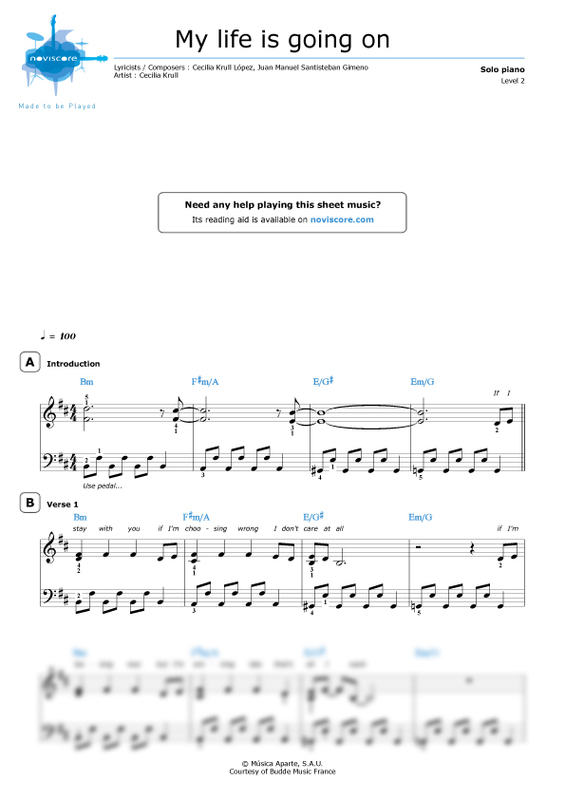 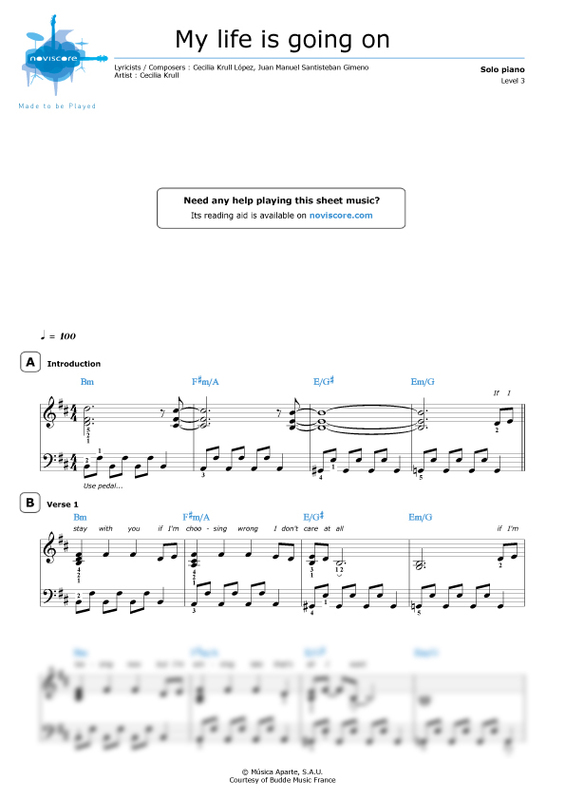 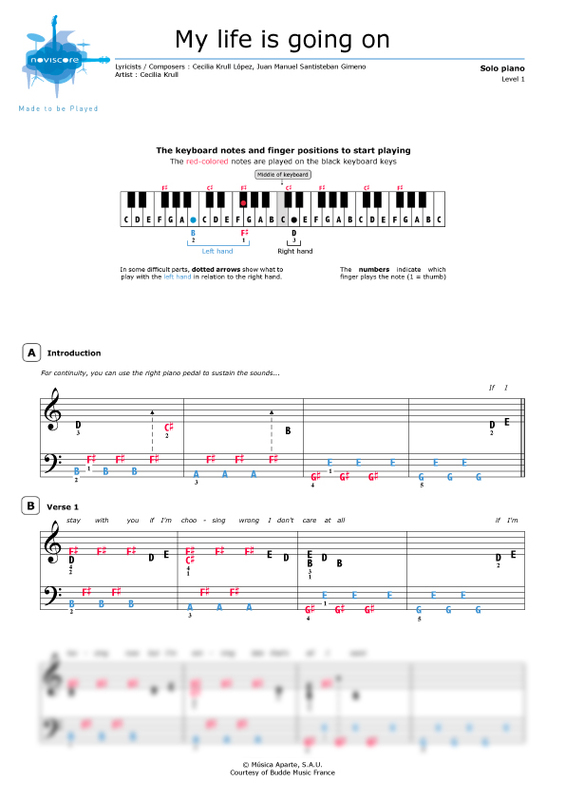 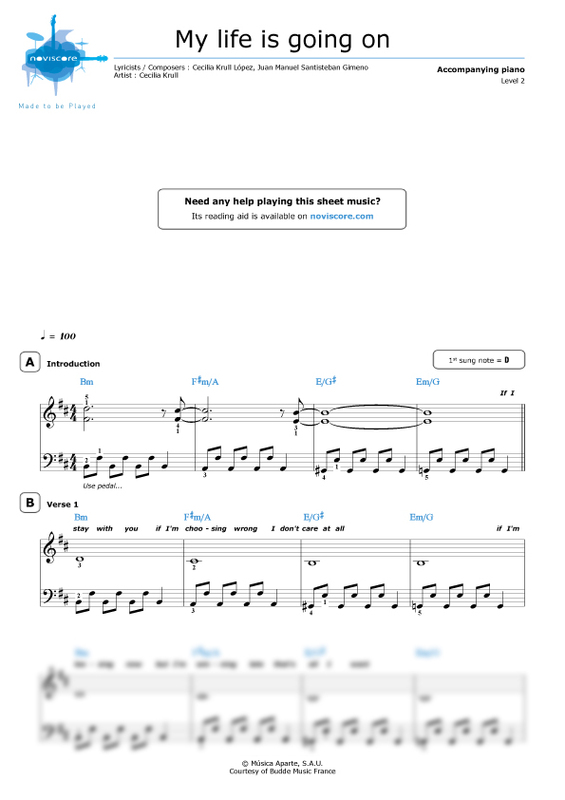 Choose the sheet music that suits you best from our three difficulty levels. 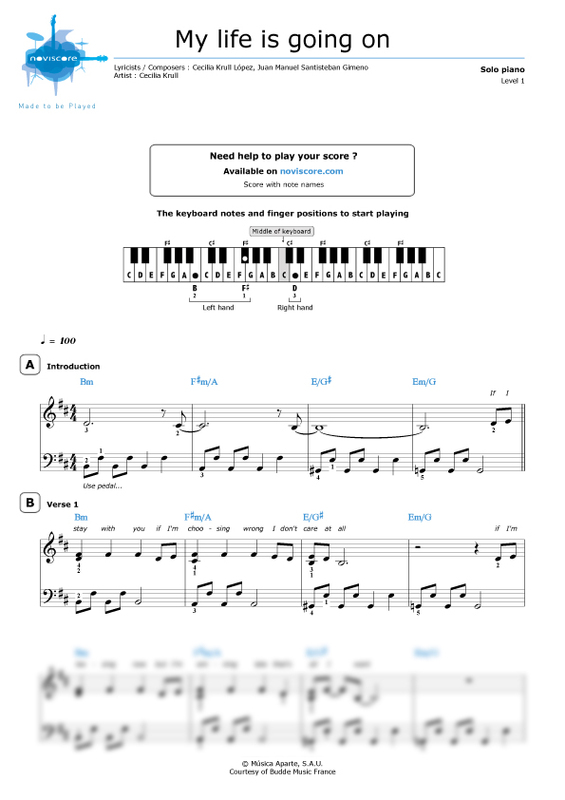 The easy piano music (Level 1), specially adapted for beginners, comes in two versions, one with traditional notes and the other where the notes are replaced by their names to facilitate learning. 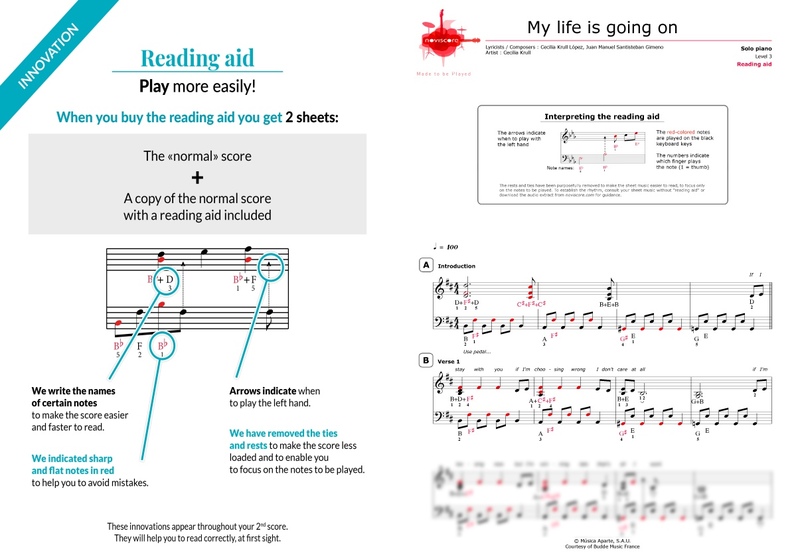 Also discover our reading aids that simplify decoding for faster reading.